Iron Man's helmet from his latest suit has a great new feature: it can hold coffee! This Iron Man Helmet 16 oz. 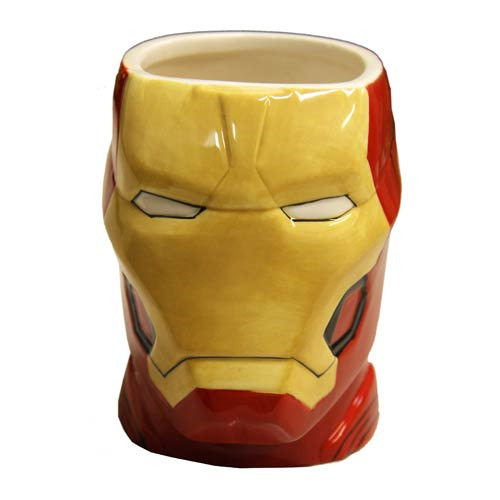 Molded Mug was masterfully crafted from Surreal Entertainment to look just like the armored Avenger's head protection! This mug is made of ceramic and can hold up to 16 ounces of liquid. Hand wash only. Not dishwasher safe. Do not microwave. Measures approximately 4 1/2-inches tall.